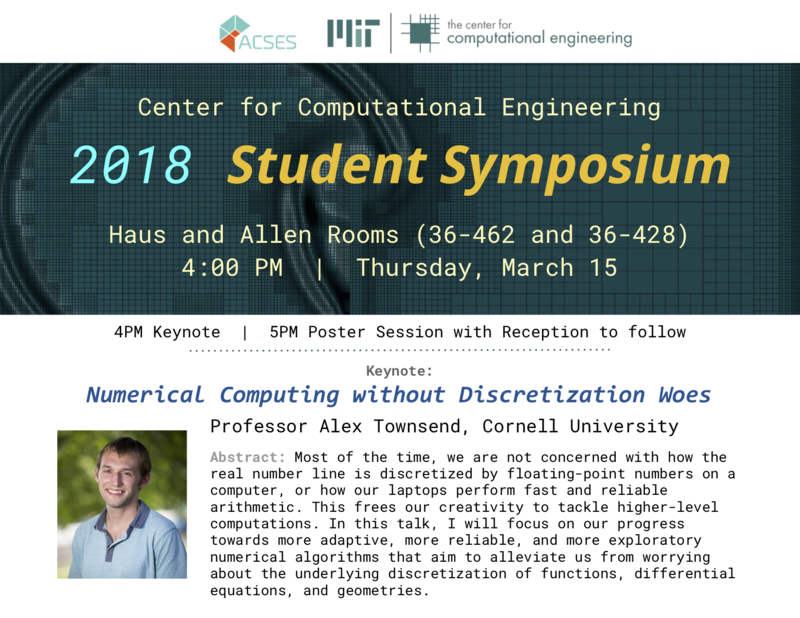 The Association of Computational Science and Engineering Students (ACSES) represents current graduate students within the Center for Computational Engineering at MIT. Our goal is to organize social and professional activities which strengthen and enrich the CCE community, and to help publicize various research activities within the department. We organize social events, host talks by guest speakers and students, and help communicate with the department and the Graduate Student Council.